My morning was hijacked by a FB post. 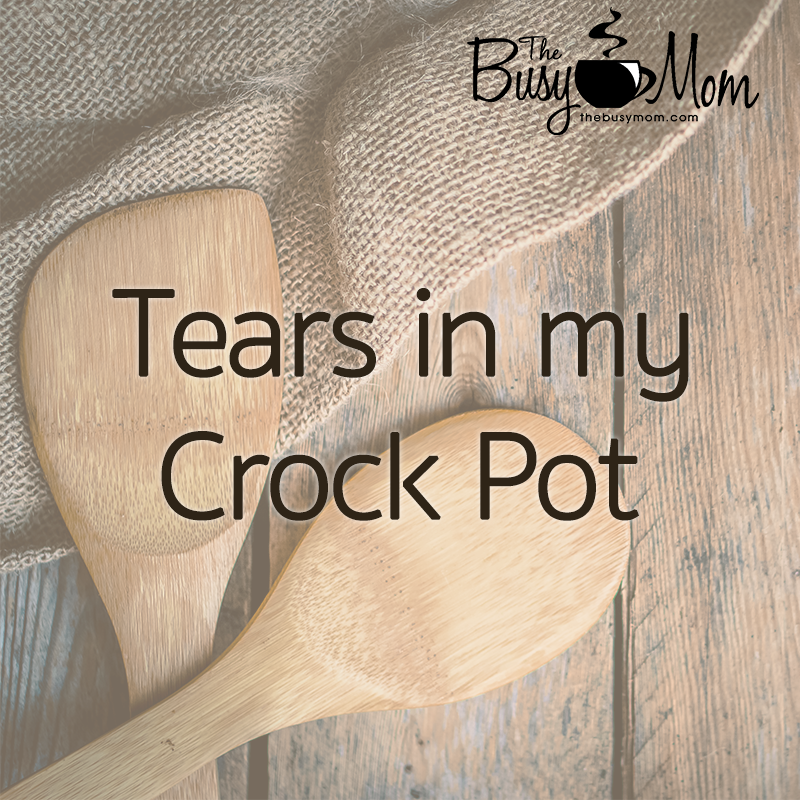 I found out that lead could be leaching from my Crock Pot and contaminating my carefully planned meals. I couldn’t be sure whether or not said Crock Pot might, in fact, be poisoning my entire family, but I spent most of the morning gripped with fear. So while I was working hard to purchase wholesome, preferably organic food, all my efforts may very well have been voided completely by a malicious Crock Pot. Welcome to the 21st century. It’s a roller coaster ride of mad efforts to stay ahead of the latest information: are cell phones killing our brains and giving us cancer? Does technology make us more or less smart? Are my kids getting the right food, exercise, sleep, stimulation, friends, teachers, education? Is my marriage all it’s supposed to be? Am I really a good mom? Are the candidates really who they say they are? Who is lying? Who is telling the truth? And just when we think we MIGHT have a few answers, the rug is pulled out from underneath us. It’s enough to make a grown woman cry. And I have. Again and again. You see, in the midst of all this mayhem…all this pain of life, what our souls are really crying out for are peace and rest. We NEED peace and we NEED rest. So as I remind myself to breathe (because, yes, sometimes I forget to do that) and I let the tears flow, I realize this is not my home. I was made for so much more. WE were made for so much more. Jesus said,”In the world you WILL have trouble, but take heart, I have overcome the world.” John 16:33 He never said it would be easy, but He did promise that He would be right there in us to help us rest and trust and to show us what to do next. The problem is that we tend to borrow trouble. God told us in Matthew 6:19-34that we should not worry about tomorrow because it would be too much for us. 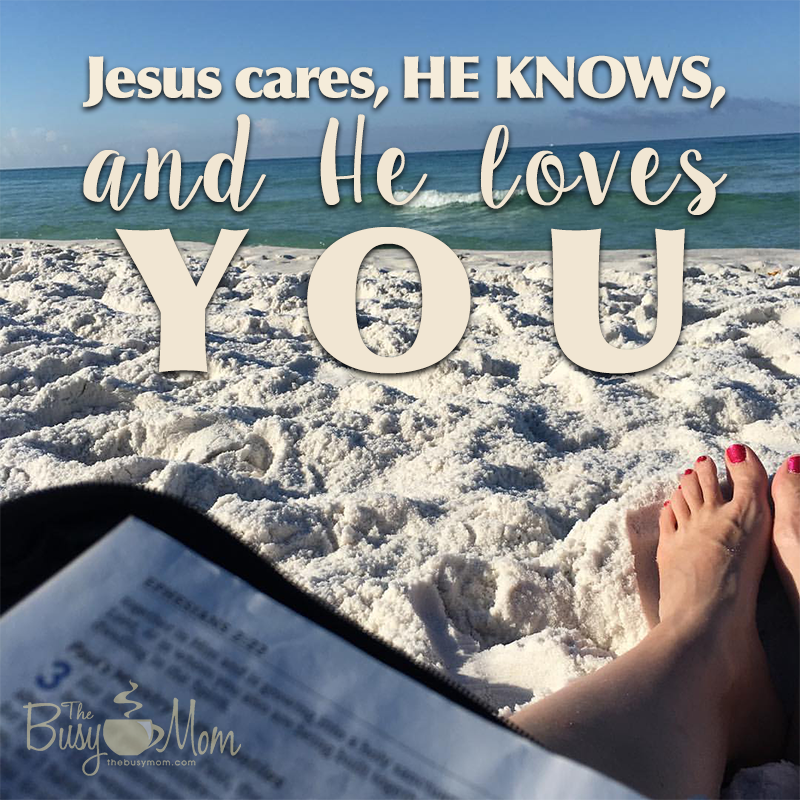 Instead He reassures us that He values us more than we know and that HE will take care of us. Mom, you are precious to Him. Your families are precious to Him. Never stop knowing and believing that He is GOOD and that He LOVES you. He has your best interest in mind and promises in Romans 8:28 that if you are called according to His purposes, He WILL work everything out for your good and His glory. And so that morning I shed tears over my Crock Pot, I prayed. I named that lie that the enemy was trying desperately to get me to believe and I declared out loud that HE IS GOOD. I asked God to protect our family, give us wisdom and I told Him that I trusted Him. I found out later that my Crock Pot isn’t out to kill us. But I can tell you that the enemy IS. God says that the enemy wants to steal, kill and destroy, but Jesus came that we might have life and have it more abundantly! Put on your armor, moms, and fight the good fight! He is good and He is ON YOUR SIDE! I’m sitting on my porch this morning, drinking a cup of coffee. I’m wrapped in a blanket, and it’s breezy. But, the signs are there, in the slightest little ways. My little girl just brought me flowers she found by the pond. There are birds chirping and pecking for bugs in my backyard. The sun is warmer on my face than it has been in recent days. And it does something to my heart. It feels like hope. I can feel it coming, days playing outside with my little ones; the relief from months of being inside, missing activities because of one more sickness passing through. Does it ever feel this way to you? This spring comes at a unique time for our family as I have been on bedrest awaiting the arrival of our littlest since shortly before Christmas. It has been a long season. In more ways than just the weather, it has been a winter of sorts here. It has felt dark, hard, and confining. There has been grace in so many ways, and I am so grateful for it! But it has still been hard for our whole family. It has been a day after day trudging through, anxiously waiting for the day when the burden is lifted, when the sun breaks through the clouds. My son captured it well this afternoon as we were chatting and he told me “It’s just going to be great Mom. She’s going to make all our lives better when she’s here.” Yes she will little man, yes she will. 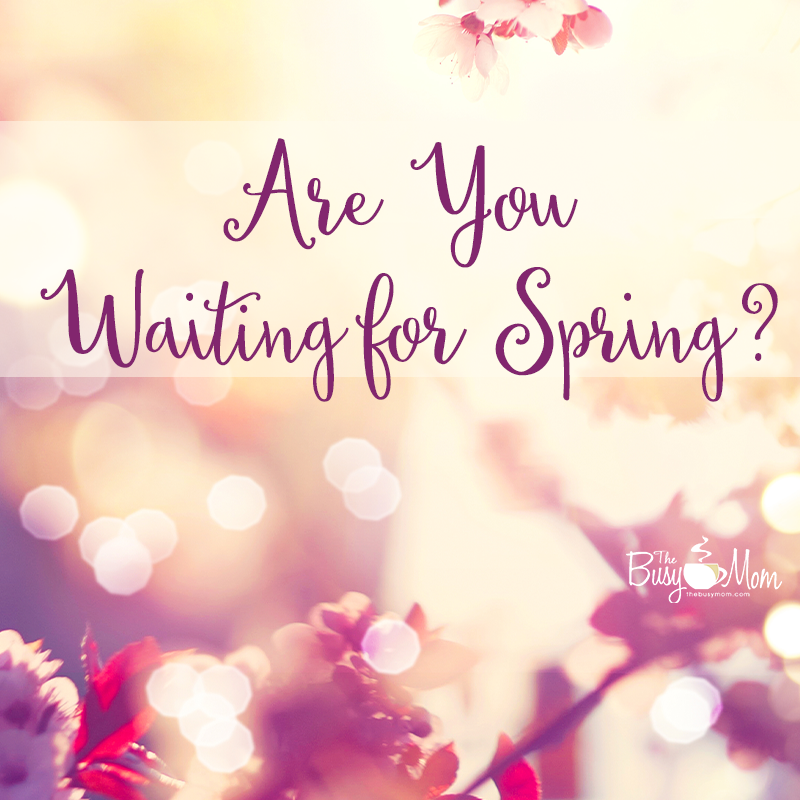 Is your heart anxiously awaiting spring? Physically or metaphorically? Know that He brings it. And nothing on this earth can stop His hand when He declares its’ impending arrival. I hung up the phone and looked into my husband’s expectant eyes. “She’s not coming.” I whispered. He sighed with unspoken understanding and continued with what ever task he was attending to. I can’t remember what it was. My heart ached and tears threatened, but taking a deep breath, I continued to wrap the multitudes of gifts piled high on the floor in front of me. Our adult daughter would not be joining us for the holidays. The reason why is a long story, but suffice to say that it made this mama want to cry. My husband and I have been walking down this parenting a prodigal path for some time now and although there are days when my heart aches and I want to cry (and do!) we have learned so much about the faithfulness of God. 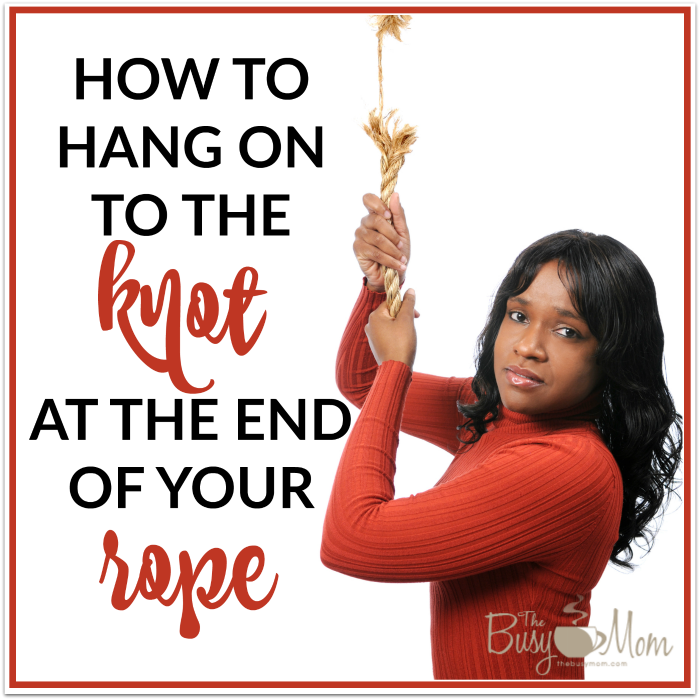 If you’re going through a season of trial like us, I have few words of hope for you. And if you’re not going through trying times now, bookmark this page because it’s probably around the corner. Don’t Hide: It’s kind of sad to say that, as Christians, we fear the judgement of other Christians. Honestly though, God created the church for just such a time as this. Prayerfully consider who to invite into your prayer circle. We wrestle not against flesh and blood. We need corporate prayer! Don’t Make it About You: It’s easy to fall into the trap of self-centeredness, focusing on our own pain and suffering. There is a time for that to be sure, but ultimately a focus on self isn’t the answer. It’s not about you! God allows difficulties in our lives to refine us, right? Allow God to work in you and share that with others! 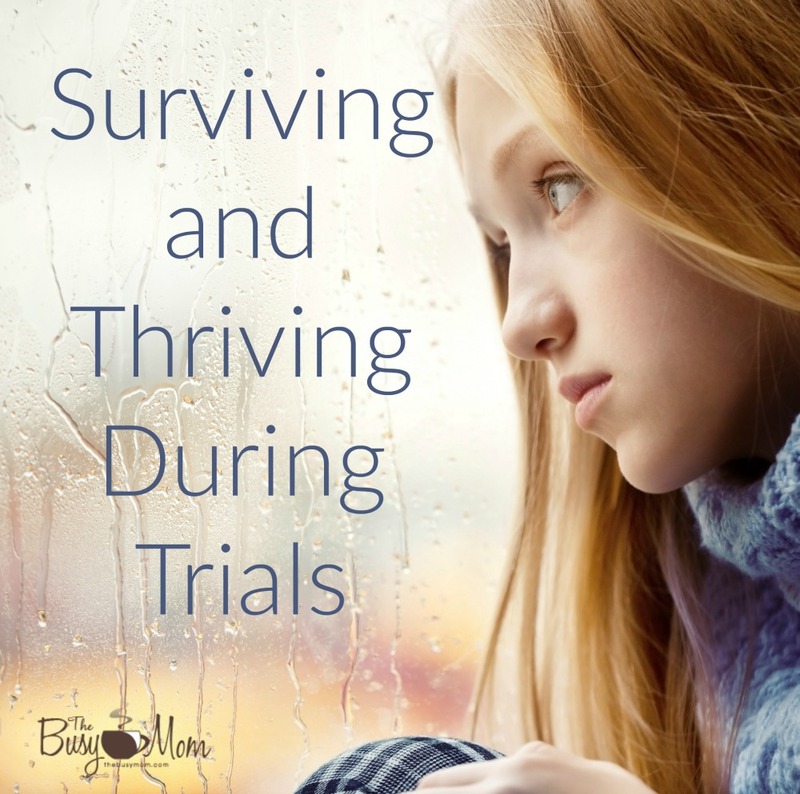 There is a sweet peace in glorifying God through trials. Don’t Seek Worldly Wisdom: Although there is much wisdom in godly counsel from pastors, family and friends, ultimately it is God who holds the answers for your unique situation. Remember, God is not surprised by anything that you are going through. He wants to guide you and has an unending supply of wisdom for all who ask. Don’t Ask Why: While you’re seeking God’s wisdom for your situation, try asking God ‘What?’ rather than ‘Why?’. Ask God what it is that He is trying to teach you and your family. Likely, the ‘why’ to your situation is beyond your understanding any way. Rest, knowing that God is working this all for the good and seek to grow through your situation. Don’t Give Up: This is not an easy path, Sweet Mama. There have been times that I’ve been angry with God, arrogantly rejecting His peace and demanding change. Boy, am I thankful for grace! Don’t give up. God is faithful to complete the works that He began in you and your family – works that have been ordained since before time began. 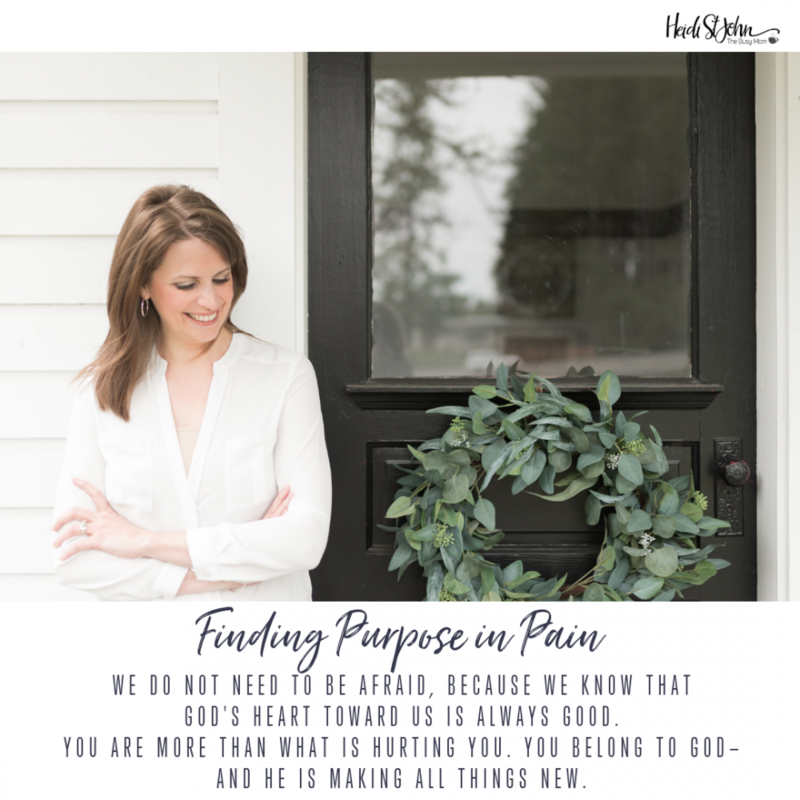 When your heart feels like it will break and nothing makes sense, it can seem impossible to do as James said and ‘consider it all joy when you encounter trials’. Be encouraged by what Paul, who was well-familiar with suffering, said in Romans 12:12, ‘rejoice in hope‘. We can rejoice during trials because we have hope – hope in an all-powerful, all-knowing, loving God. Tonight, I sat in a movie theater full of strangers and cried along with other grown-ups who I heard “don’t usually cry at movies.” Grown men and women sat all around me, tears falling softly as we watched our own shared reality, played out on the big screen. You know I’m talking about War Room. Why is it at the top spot at the box office despite secular predictions that it would fail? Because it’s hitting on a nerve. Desperate. That’s what we all are. Here near the end of 2015. …and there has to be a Jesus voice, a real one, for this hurting world. What does it mean to be found, when once we were lost? How do the blind learn to see? In this case, the blind really can — lead the blind. We can lead them straight to Jesus. Jesus offers hope. And we, those who know and love Him and have experienced His extravagant mercy, need to tell their stories of forgiveness. 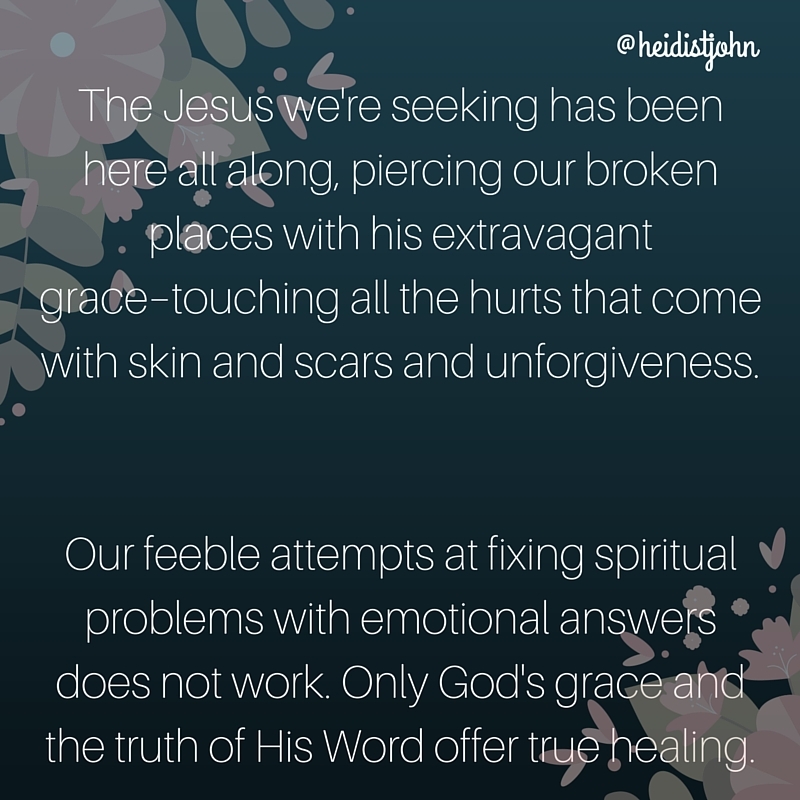 The more broken we can admit we are, the more Jesus can be seen. There is none righteous. None “better” than another. The only one “better” is Jesus. We’re his voice. We’re his hands, his feet, his heart. Aren’t we, Church? We’ve got to get this right. We’ve got to fight on our knees. To know the WORD. Old, worn out cliches and beating up people with doctrine doesn’t reach hurting people. It doesn’t change the culture. Let’s fight like it. On our knees. Until we admit our own brokenness and identify with the ache in the bones of all of humanity, we can’t be heard. Without our own repentance, our prayers are hindered. Without a heart of grace for those whose broken places are different from ours, we will be ineffective. 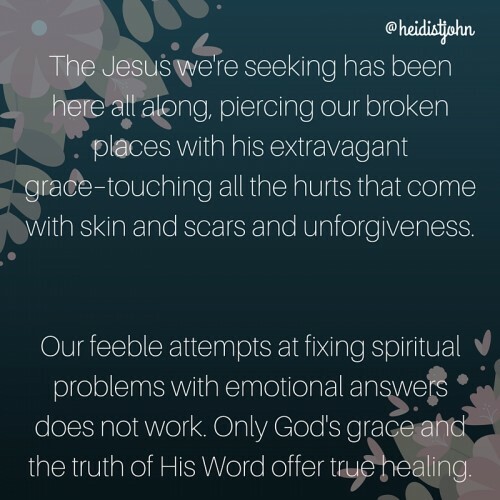 The Jesus we’re seeking has been here all along, piercing our broken places with his extravagant grace–touching all the hurts that come with skin and scars and unforgiveness. Our feeble attempts at fixing spiritual problems with emotional answers does not work. Only God’s grace and the truth of His Word offer true healing. May we all be found on our knees.